Aiming to provide remunerative price for farmers, the Himachal Pradesh State Agricultural Marketing Board (HPSAMB) is providing facilities through 10 Agricultural Produce Market Committees (APMC’s) and about 56 regulated Markets setup at different strategic places throughout the State. In order to meet the increasing demand of off seasonal vegetables and fruits in other parts of the country, the State Government has taken initiative to modernise its vegetable and fruit markets so that farmers can get all the facilities at one place. To cater the needs of farmers, 56 markets have been constructed out of which eight marketing yards have been set up during last two and half years and work on four other markets is in progress. An amount of Rs. 30.42 crore has been spent on the construction of these markets during the year 2012-13 to 31 March 2015. 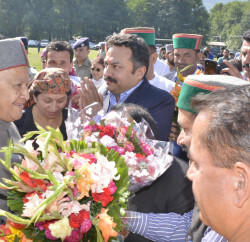 Himachal Pradesh is the first hilly State in the Country which has implemented amended Himachal Pradesh Agricultural and Horticultural Produce Marketing (Development and Regulation) Act, 2005. Due to hilly terrain, the producing areas are scattered in small units and the means of transport are not readily and easily available in such areas. Since the facility for the protection of agricultural produce is short, it remains open to vagaries of weather. To save the farmer from such losses, a scheme to construct collection centres at strategic points had been started. 27 such Fruit and Vegetable Collection Centres have been established at the cost of Rs. 1,17,62,084 during last two and half years. Consistent efforts are being made by the Board to identify proper places for setting up collection centers at different areas. At present, four collection centres at Shimla district, three in kangra, two each in Solan and sirmour, four in Una, one in Chamba, three each in Mandi and Hamirpur, four in Bilaspur and one in Kullu district have been established. 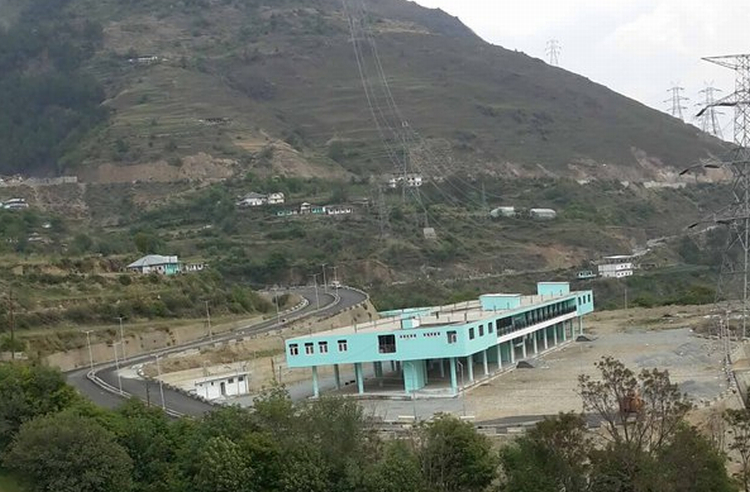 Further, The APMC, Shimla & Kinnaur has constructed three collection centres in the vegetable and fruit producing areas where the means of transport are not readily available i.e. Delath, Janedhat and Throla. The farmers of these areas bring their produce to the road side and keep in there for the transportation of their produce to these collection centres. Keeping in view the tough geographical conditions of hill areas, the construction of roads is difficult and highly expensive as compare to plains. 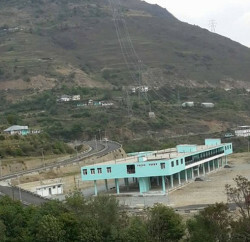 To connect these hilly areas with main roads, Aerial Rope Ways are being constructed by the State government. Eight such Aerial Rope Ways has installed at a cost of Rs. 40.50 lakh during last two and half years. 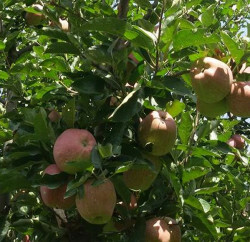 The Agricultural Produce Market Committee, Shimla & Kinnaur, has installed six Aerial Rope Ways in the far- flung areas to transport the agricultural produce commodities to road. Proposals for installing more such Aerial Rope Ways are considered keeping in view the urgent requirement of the farmers in the remote areas of District Shimla & Kinnaur. Farmer’s Awareness Camps are also organised by the Board and APMC’s to provide latest information on post harvest techniques, grading and standardization, food safely and quality, good agricultural practices, market information system etc. As many as 1400 farmers have been trained through these camps in last thirteen months, where experts of different departments were giving useful tips to the farmers. The agricultural Universities and related Institutions throughout the country are constantly developing improved and scientific techniques of post harvest management and the farmers in large number are availing the opportunities. Not only their crop yield has increased but their income has also increased significantly. The farmers of distant places are notable to take the benefits of technology advancement. In order to expedite the market information, 39 computers have been installed in the Market Committees in collaboration with the Directorate of Marketing and inspection, Govt. of India under centrally – sponsored scheme Marketing Research and Information Network (MRIN). Any stakeholder may logon to the website, to access the arrivals and prices of different agricultural commodities for various markets of the country.